Driven with perfection, we are engaged in manufacturing and supplying an attractive range of Sweet Boxes. Elegant in finishing, these Plastic Sweet Partition Box are superior in quality and meet proper needs and requirement of precious consumers. These presented boxes are durable and wider in size. In addition to this, these boxes are reliable in nature. 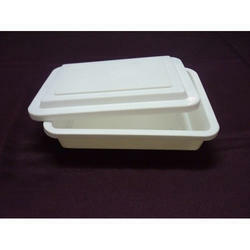 We charge minimal price for this plastic boxes. 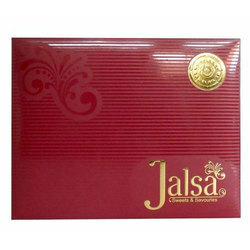 We are highly admired by consumers for offering Disposable Paper Sweets Boxes to precious consumers. Besides this, these sweet boxes are light in weight and superior in finishing. Moreover these boxes are quality checked by professionals in line to meet appreciation by consumers. We ensure safe delivery of these sweet boxes. Based on in-depth experience and knowledge in the industry, we are efficient in providing Designer Laddu Box in the market.